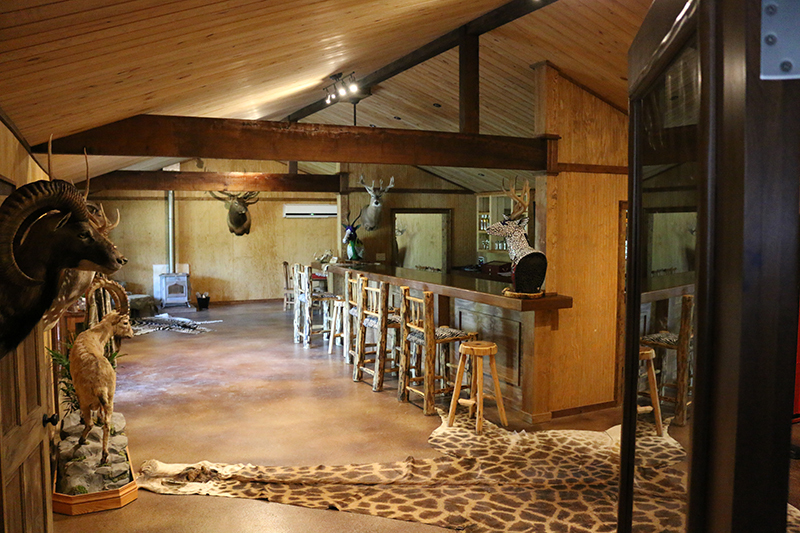 The Texas Hunt Lodge offers a Hunt package service which provides Exquisite Texas themed accommodations at our Hunt Lodge located on Lake Ingram - Guadalupe River as well as the finest Exotic Hunts and Whitetail Hunts found in Texas. 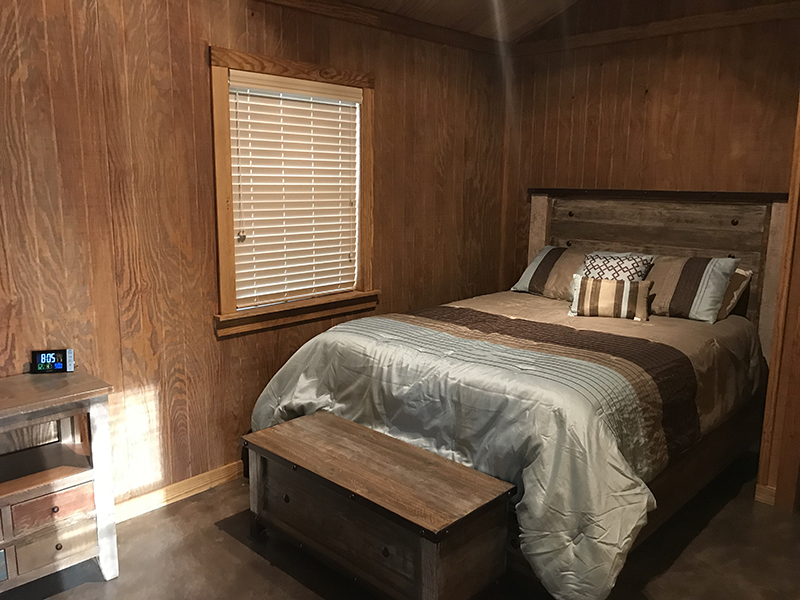 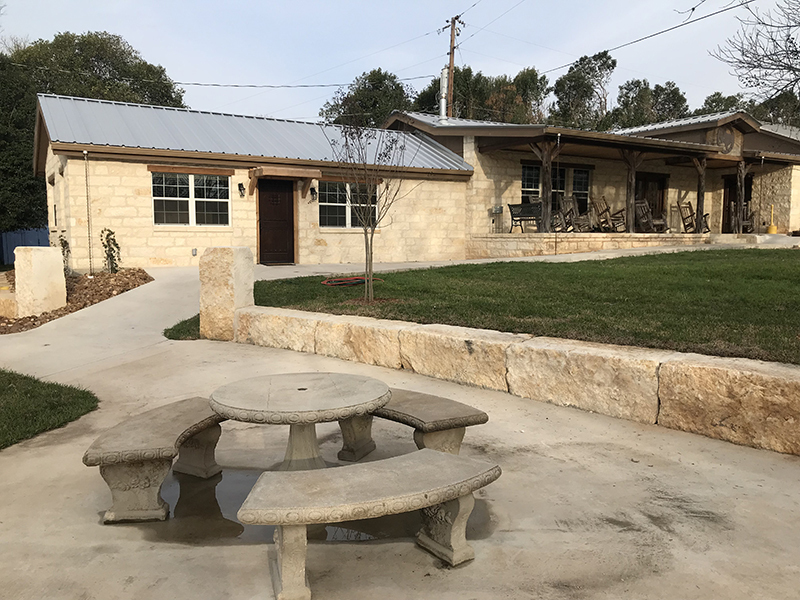 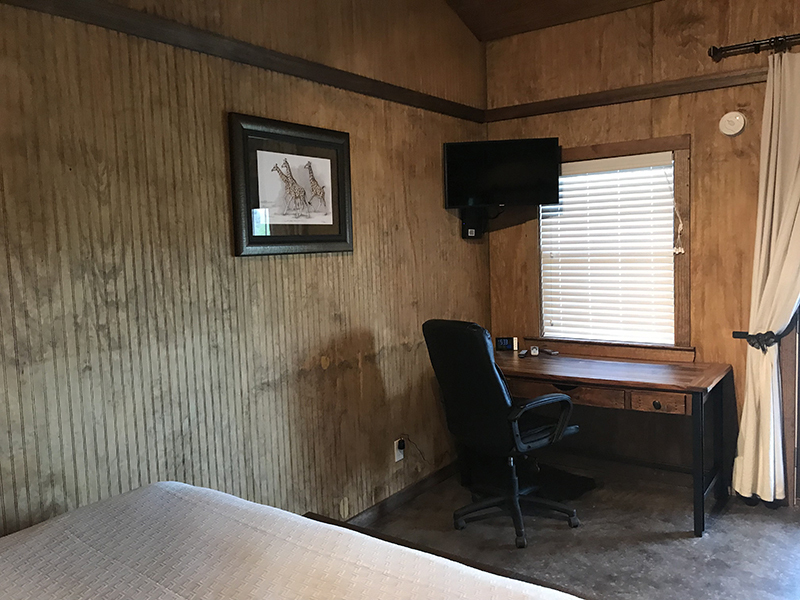 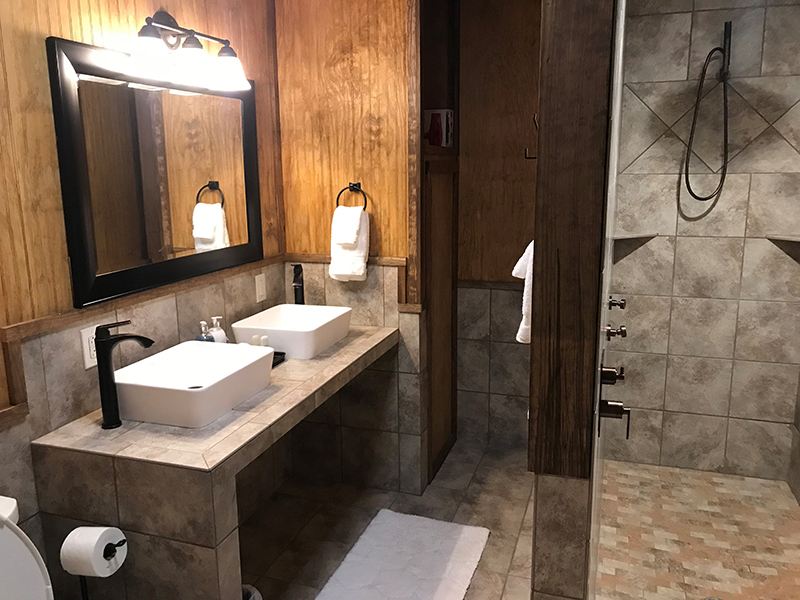 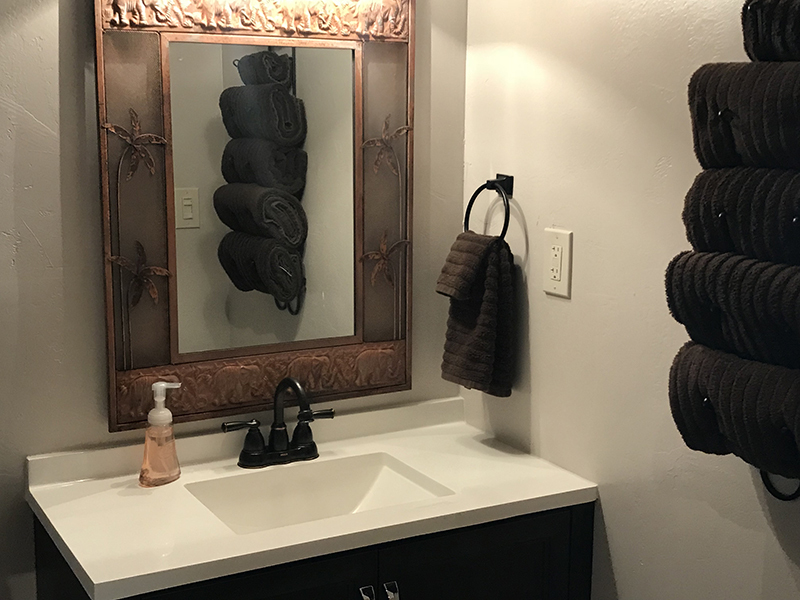 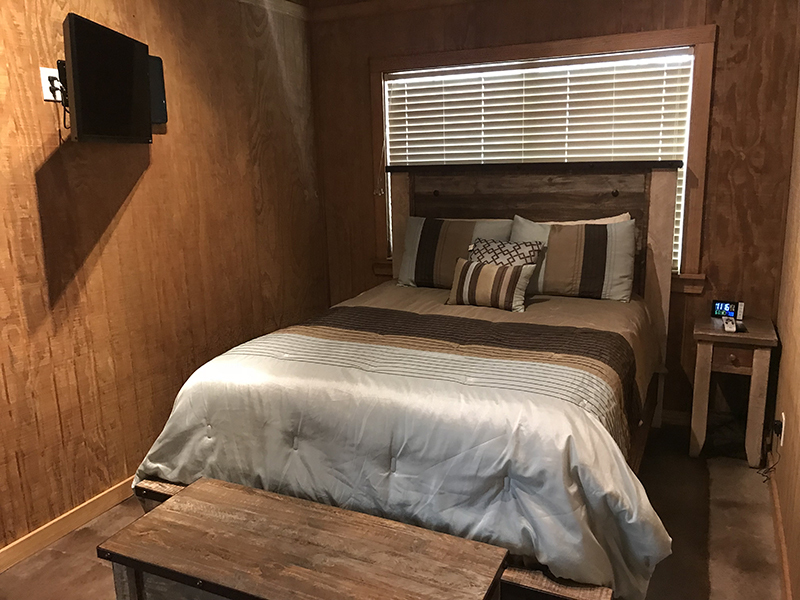 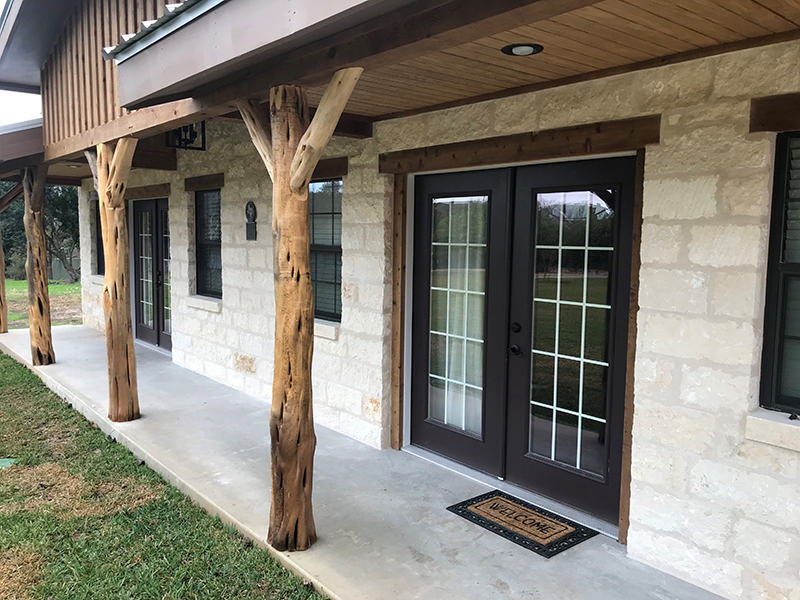 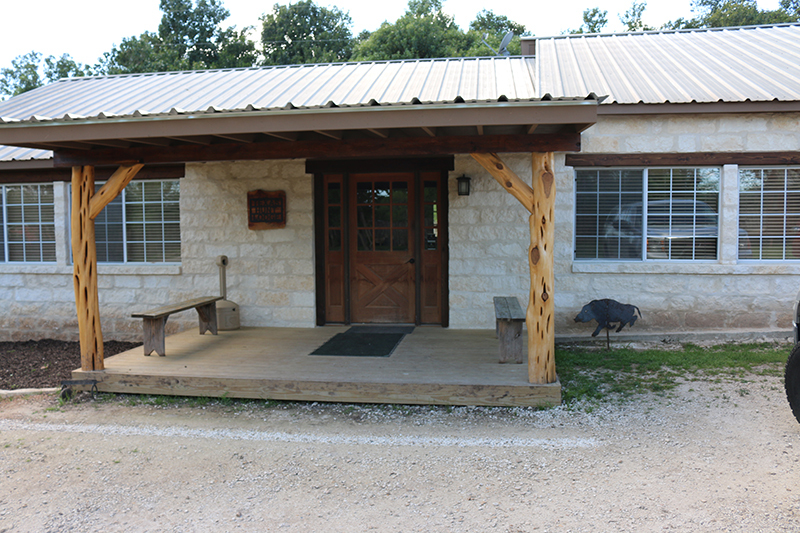 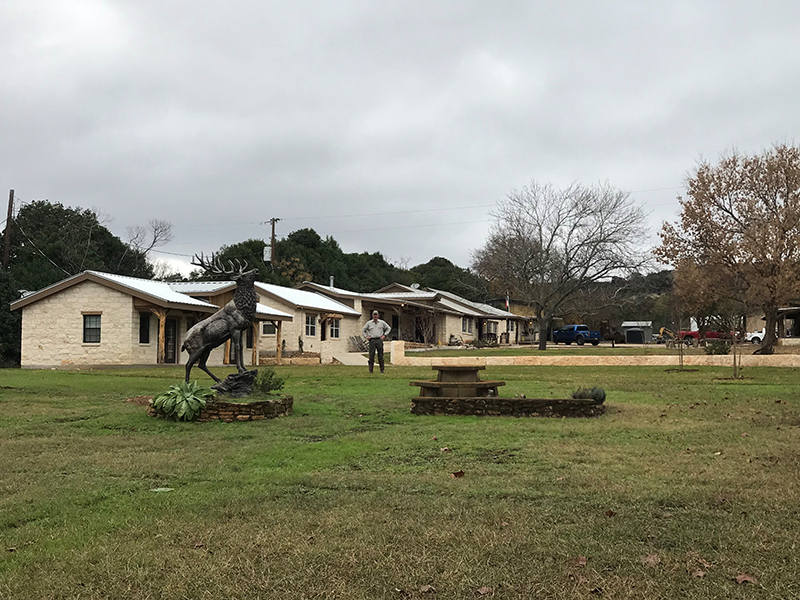 Located off of Hwy 39 between Ingram and Hunt, TX, the Texas Hunt Lodge Accommodations have recently been completely renovated both inside and out. 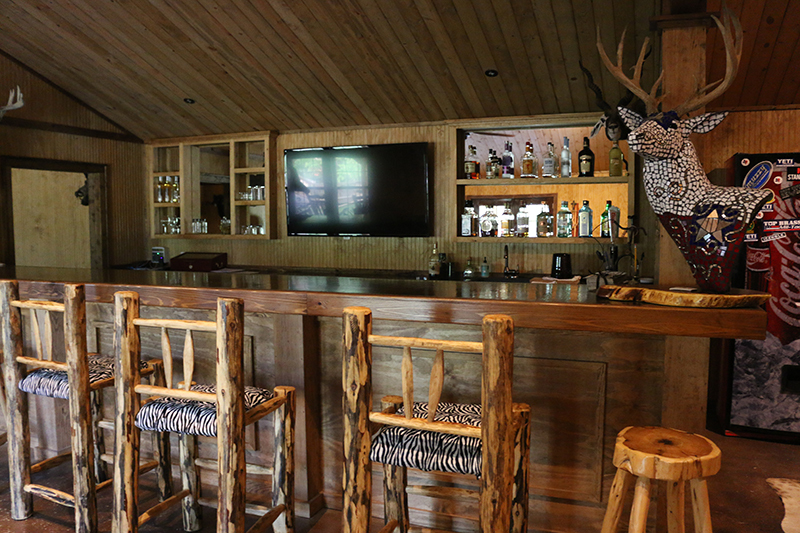 We have just completed a new 2000 sq ft Fully-Stocked Bar with a 70 inch LCD screen HD TV, new Stainless Steel Kitchen, large Dining area, Soapstone Wood Oven and Central Heat/AC to heat the house, Custom furniture from Texas and Mexico, (8) stylish guestrooms with private baths, and (3) Cabin with showers, all with AC/Heat and DirecTV in each room, etc. 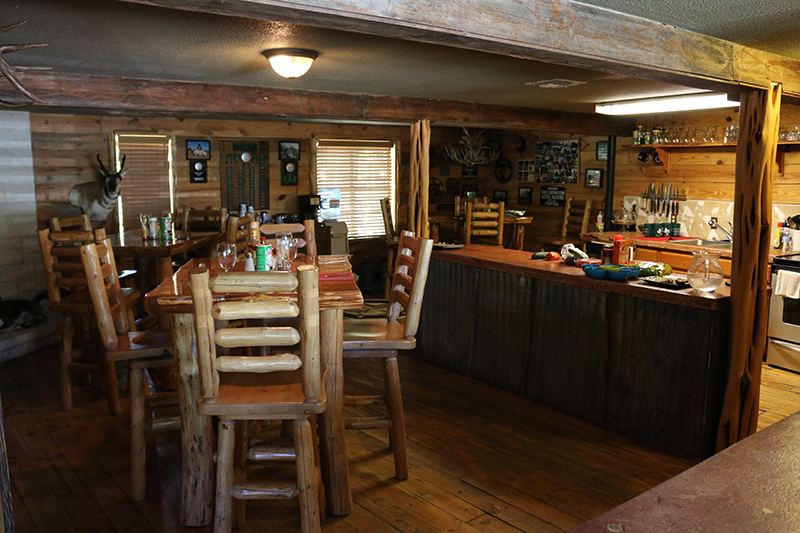 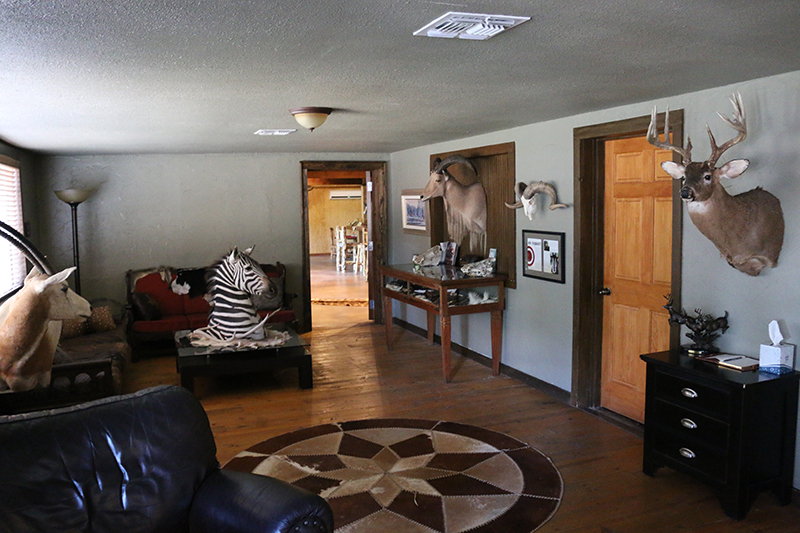 With multiple porches to look out on the River, a Bonfire each night to sit around and sip cocktails, and friendly Professional Guides to keep you company, you will feel relaxed at the Texas Hunt Lodge. 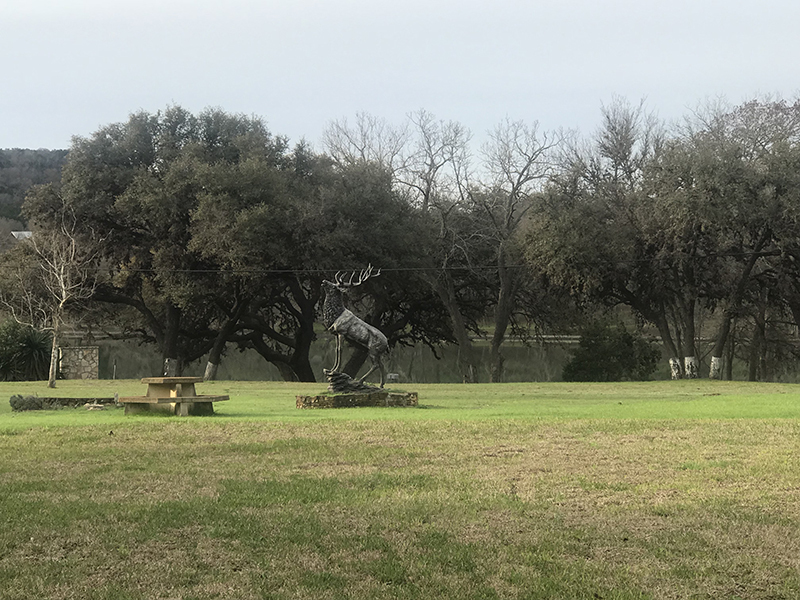 Our Texas-themed Accommodations sleep up to 22 Hunters comfortably our a 11 bedroom, 12 bathroom, 10,000 square foot lodges located on the banks of the beautiful Guadalupe River/Lake Ingram. 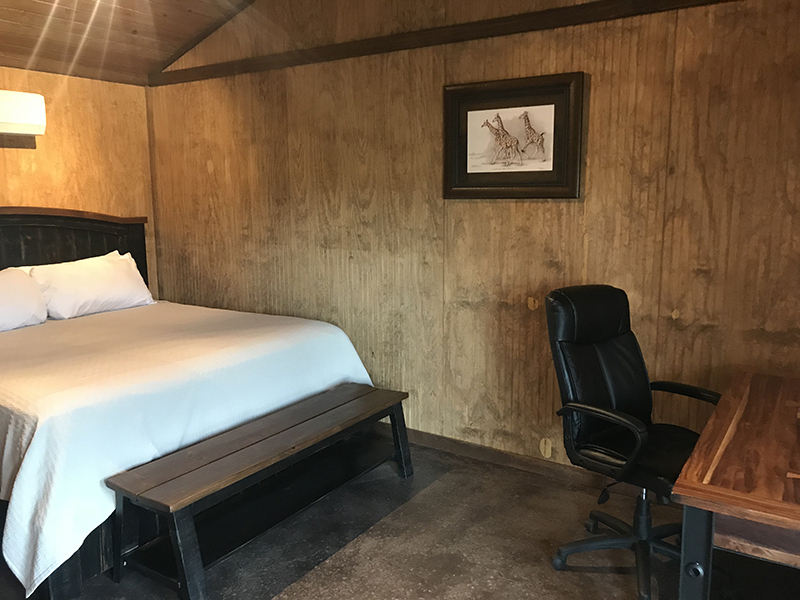 We have our English Suites with 2 Queen Size Bedrooms, (2) VIP Suites with King Size Beds, (3) Guest Cabins, and our (4) Original Suites located in the Main Hunt Lodge. 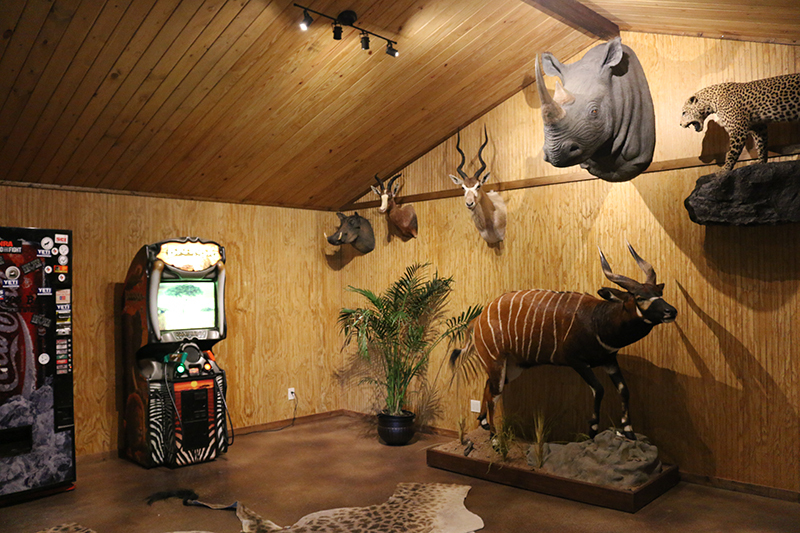 In addition to the accommodations provided at Texas Hunt Lodge, we provide all meals from Exotic Game Entrees to Mexican Food...you are guaranteed to not lose weight during your stay with us. 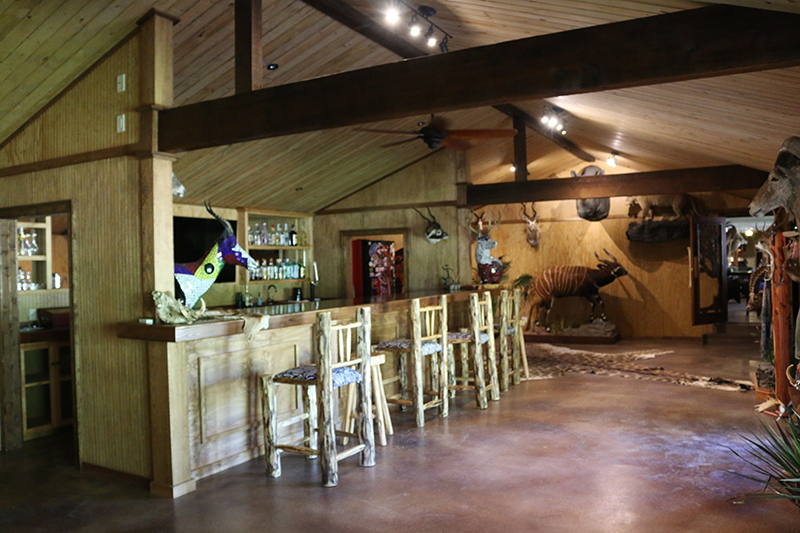 The Texas Hunt Lodge may also be booked on a Room Rental Basis, Event Venue, or Banquet Venue throughout the Summer months. 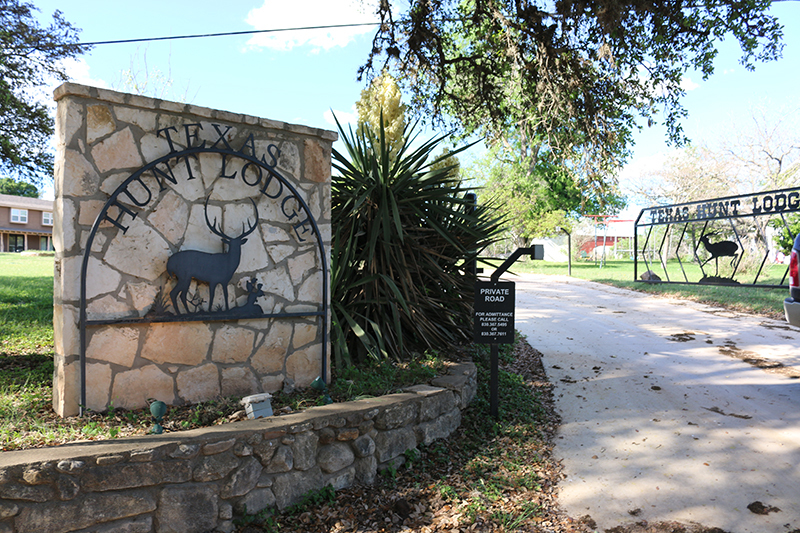 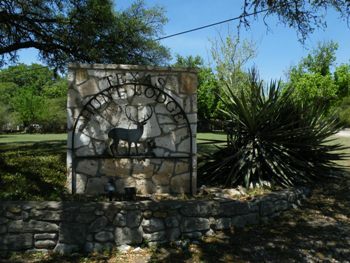 When coming down Hwy 39 from Ingram, lookout for this entrance and sign...lake is on the left, lodge entrance on the right.